Performance decays over life – from agility to outright ability. 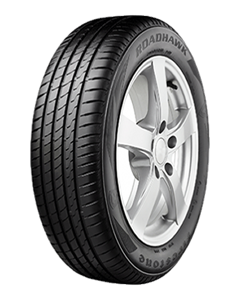 The Firestone Roadhawk tyre retains its performance characteristics in road conditions where wet weather, heavy traffic, sudden braking and motorway speed are all part of the daily mix. That means you can be sure that your tyre will provide the performance you rely on for its whole life.